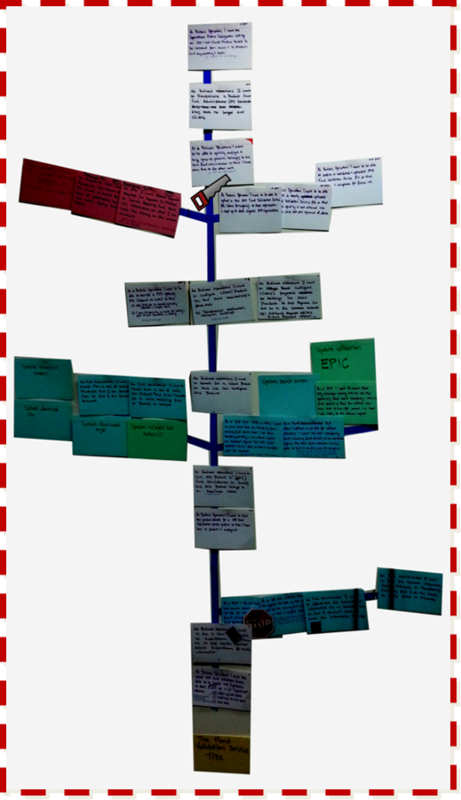 A special type of backlog, the Value Tree visualises the backlog with respect to dependencies and sequencing. Read from the bottom up, upper levels of cards require the lower levels to be done first before they can be started. Where cards form a branch then you read the dependency going out from the trunk, where any card can be done in the branch at any order. Saw points can be added to indicate where an MVP is completed. This technique can be used across multiple features (card colour differentiation recommended) or for a single feature.